"1400 N Lake Shore has a grand vintage lobby appropriate for its period construction in the 1920s. The building offers some of the most affordable units for a prestigious Gold Coast address." 1400 N Lake Shore Drive is a 1920s vintage building located in the heart of the Chicago's Gold Coast and is listed in the National Register of Historic Places. 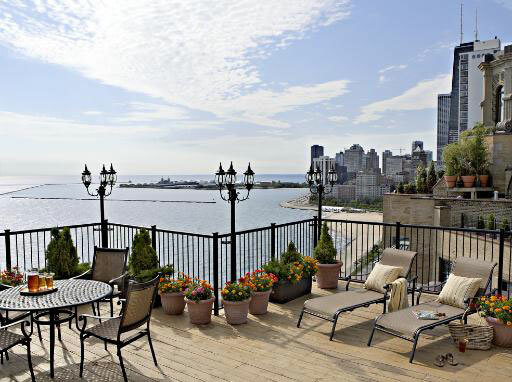 In addition to it's history and charm, residents will also appreciate its location on Lake Michigan - moments from the Magnificent Mile with its luxury shops and world-class restaurants. Building amenities include a state-of-the-art fitness center, 24 hour doorstaff, dry cleaners, commissary, on-site salon, and stunning lake and city views from a large roof-top sundeck with gas grills. The units of 1400 North Lake Shore Drive are a mixture of original classic architecture infused with modern conveniences; some have been renovated while, others retain their original characteristics, like tiled kitchens and crown moldings. Most feature spectacular lake and city views. 1400 N Lake Shore Drive allows both cats and dogs with a weight restriction.